Black teas originated in China and later traveled around the world. Their special leaf styles have a long, historical perspective. They are well-rounded, rich with complex flavors. They are especially suited to drink straight up without milk or sweeteners. However, these full bodied teas can handle lemon, sugar, or milk if needed to satisfy your taste buds. The liquor color ranges from red to reddish brown to brown. Twelve Winds Tea Company black teas come from three provinces...Fujian, Anhui, and Hunan. 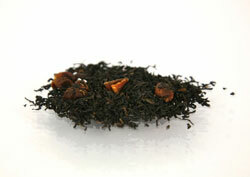 This China black tea is enhanced with the juice and fruit of the lychee. If you like your tea on the sweet side, this tea comes naturally ready for you to just steep and drink. 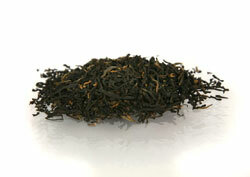 From the Fujian Province the finest spring tea leaves are processed into this black tea. This tea is smoked, not with pine wood, but with pinesap. 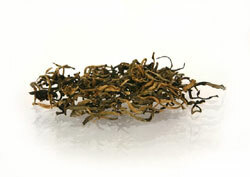 This produces a light mellow, smoky flavored tea with a hint of the Dragon's Eyes (Dimocarpus longana). This is a fruit used in soups, snacks, desserts, and sweet and sour Asian dishes. Commonly known as Longan. This black Mao Feng tea comes from the Hunan Province. It has a fine curled and twisted leaf, which brews into a medium amber liquor. 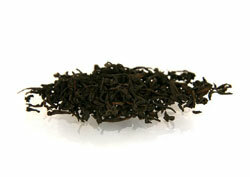 It is a classic China black with a lovely aroma with a full viscous mouth feel and taste. This is one of China's most famous teas. This Keemun is prized for its small, wiry, delicate leaves, which produces a rich, complex cup with a hint of spice and chocolate. 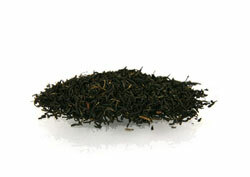 This classic China black from the Fujian Province has a fine leaf with a deep amber cup. It has a full, sweet malty taste with a hint of orange blossom. This tea makes a high quality iced tea.